Replace yourserver.com with the correct address of the server. You should be asked for a username and password and this should be the ones you used when you connected to the database using PHP. 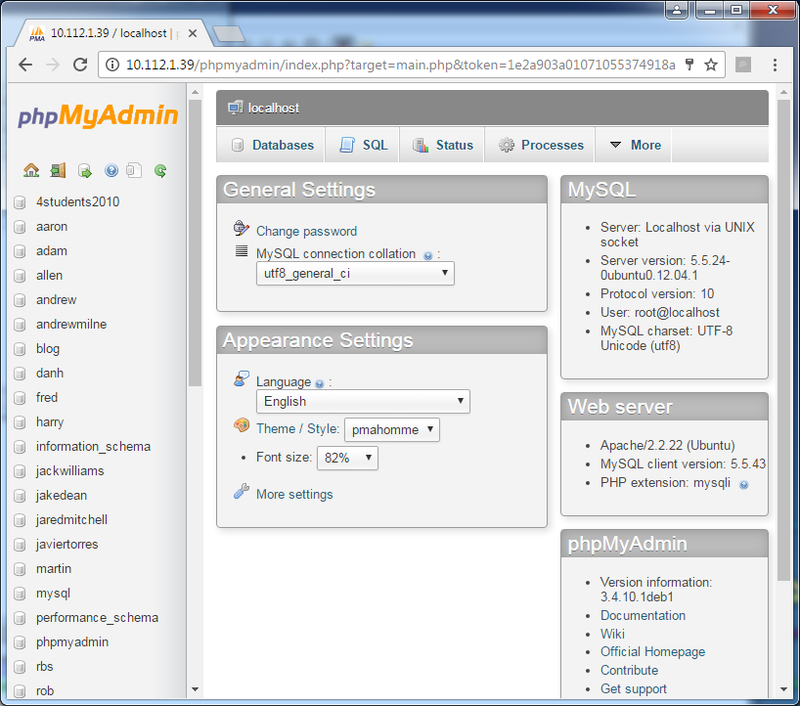 Both localhost/phpmyadmin and 127.0.0.1/phpmyadmin should work. By default you will not need a password as XAMPP is not secure. Check the settings but only one probably needs explanation. The server's connection collation is what set of text characters to use in queries. If utf8_general_ci or utf8_general_mysql500_ci are selected then leave it as it is. If not consider changing. These two provide all symbols for most character-based languages used (so not languages such as Mandarin or Kanji).